This has been a popular question lately with Studiometry user, and until now we had a few workarounds but no real solution. In Studiometry 7.x and older, if you wanted to add similar items to multiple projects you’d have to either (a) find the Debt/Credit and copy & paste it, or (b) have to go through the hassle of setting up a debt/credit category specifically for that item. Neither of these were great solutions. For Studiometry 8.0, we’ve created a great new feature called Blueprints. Blueprints are basically template Debt/Credits that can be used throughout Studiometry to add popular items to your projects. 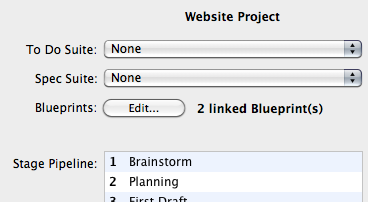 Once setup, it’s incredibly easy to add Blueprints to your projects. The Blueprints features in Studiometry go deeper than just adding expenses, though. 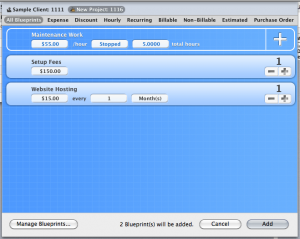 You can actually associate your Blueprints with Project Templates so they are automatically added to new projects. Real world example: You have a common project you do, we’ll call it “Website Project”, which includes a monthly maintenance fee and a setup fee. Instead of having to manually enter these fees every time you start a new Website Project, you can simply add a couple of Blueprints to your project template to have the fees automatically added as billable expenses on all new Website Projects. 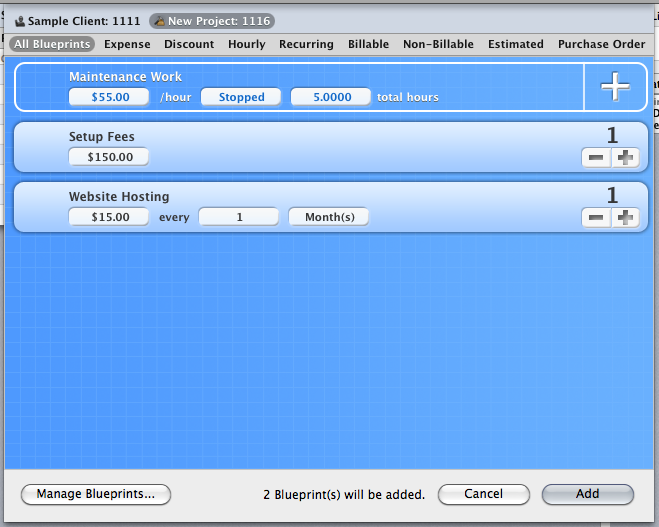 On top of that, you can even setup Estimated, Non-Billable, and Purchase Order Blueprints. This means you can create itemized estimates for your Project Templates beforehand and Studiometry will automatically populate your project when it is created. Check back soon for more previews of upcoming Studiometry 8 features! Also don’t forget that all new Studiometry 7.x licenses purchased in July and August will receive a free upgrade to Studiometry 8.